Burgess Hill Town face Sussex rivals Whitehawk at the Green Elephant Stadium this Saturday following a confidence boosting 0-0 draw at unbeaten Worthing FC on Bank Holiday Monday. The Hillians had fallen to a 6-1 home defeat against Enfield Town on Saturday afternoon in what was described by some fans as the worst performance they'd seen from an Ian Chapman team in many years. So bad was the performance that even the manager himself said in his post-match interview that he may have to discuss his future with club chairman Kevin Newell. A trip to Woodside Road two days later saw Chapman without his assistant Stuart Tuck who decided to resign from his position after the Enfield defeat. Academy boss Paul Dollner was reunited with Chapman in the Hillians' dugout. 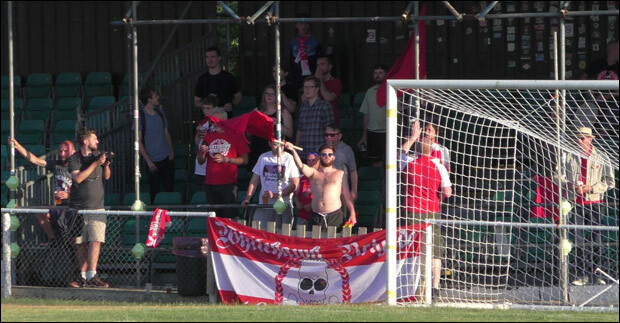 With Worthing boasting a 100% record in the Bostik League coming into this fixture, there were fears that they could compound the problems for Chapman's men, but a resolute rearguard action from the Hillians and the help of the woodwork saw the visitors clinch an excellent point in front of a crowd in excess of 1,100 fans on the south coast. The Hillians' faithful were buoyed by the performance with Ian Chapman cutting a very different figure than at the start of the game. It's still very early days in the season, and when you look at the table, Burgess Hill have played four games against the top six, taking a solitary point, and gained another point on the road against basement club Harlow Town from their first five fixtures. Any talk of Chapman's future - from himself or others - shouldn't be assessed until the team have played 10 league games. The pressing concern right now is scoring goals. The team have managed to find the net only twice in 450 minutes of football with attacking duo Kieran Pamment and Ben Pope still looking to open their accounts for the Hillians in the league. 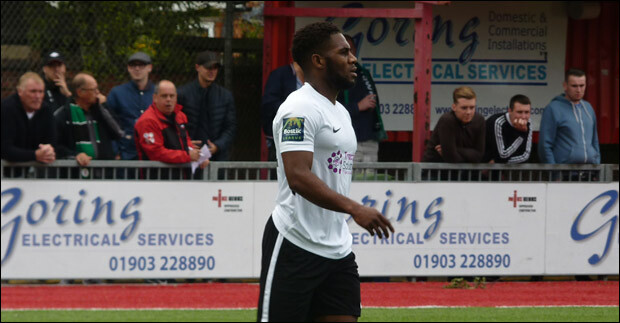 Ian Chapman added the well-traveled Andre McCollin to his squad last week with the former Kingstonian striker looking lively in his two two substitute appearances so far. Can Andre McCollin score some badly needed goals for Burgess Hill? Saturday's opponents Whitehawk were relegated from the National League South Division in May and have made a steady start to their Bostik League campaign with one win, one loss and three draws from their first five fixtures as they find themselves sitting in eleventh position. Their passionate fans will certainly bring the noise to the Green Elephants Stadium in what will be a very intriguing fixture full of many subplots. 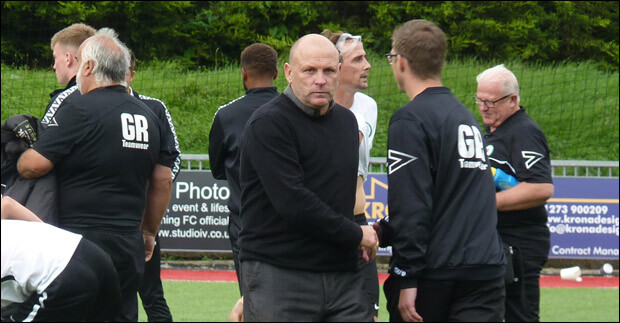 BHU Prediction - A first win of the season for Ian Chapman's men by the odd goal. Spread the word! 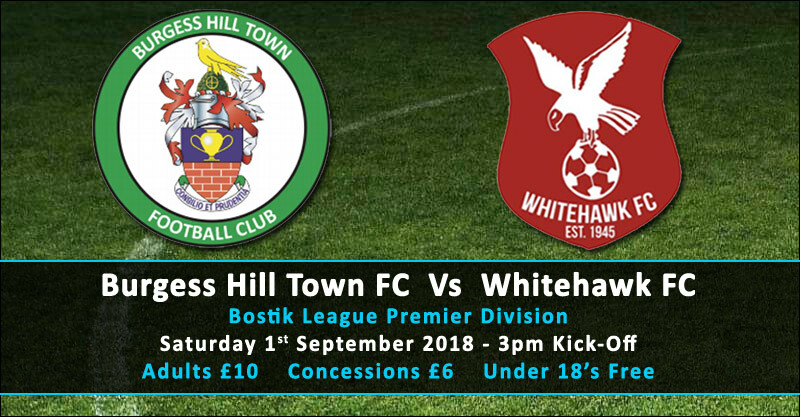 Burgess Hill Town Football Club face Whitehawk at home this weekend.